Do you need insurance for your town festival? Are you a vendor who just discovered you must provide a certificate of insurance to the sponsor of a craft show? 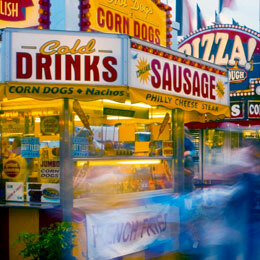 West Bend can provide the insurance you need for all types of special events. It doesn’t matter if you need coverage for one day or for one year! Your event deserves special attention. That’s why it’s so important to choose a company that understands your professional needs. Our claim representatives are highly experienced in handling special event-related losses. To design an insurance program that's right for your special events business, be sure to talk to an independent insurance agent in your area who represents West Bend.